New Diablo 3 Class May Have Been Discovered! Right off the Sombra leak for Overwatch, another leak seems to have come. This time though for Diablo 3. The image above was found in the Blizzard Gear store, the same place where the Sombra art was shown, and appears to indicate that another class of character is coming to Diablo 3. Before the image was pulled, the URL of the image had the name “Necromancer” in the title. 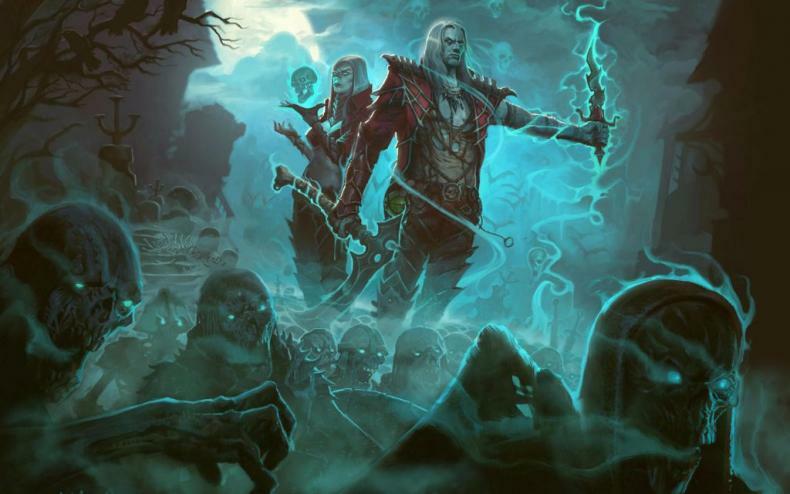 Necromancer was a playable class in Diablo 2, but it was replaced in Diablo 3 with the Witch Doctor. 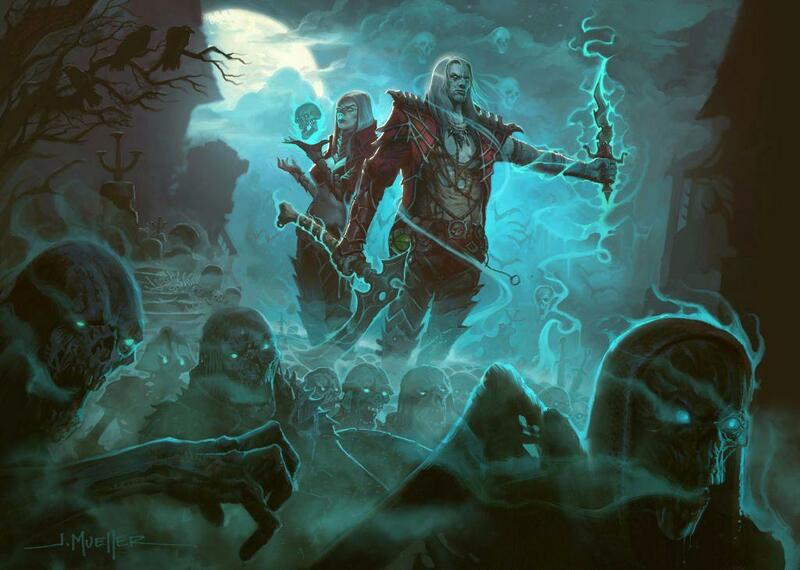 Its also work noting that the name at the bottom of the picture is Blizzard art director John Mueller, thus adding more credence to it likely being in the Diablo universe. However, Blizzard has not commented on this yet, so no confirmation can be fully given. However, with BlizzCon on the way, it may be coming soon.